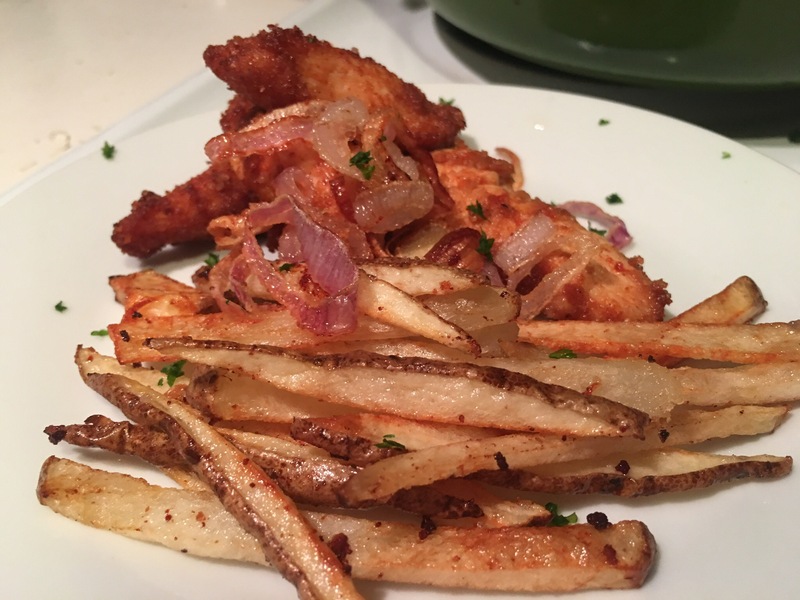 At home chicken fingers and fries – Hurried Home Chef! Fast food is a reality for most of us. 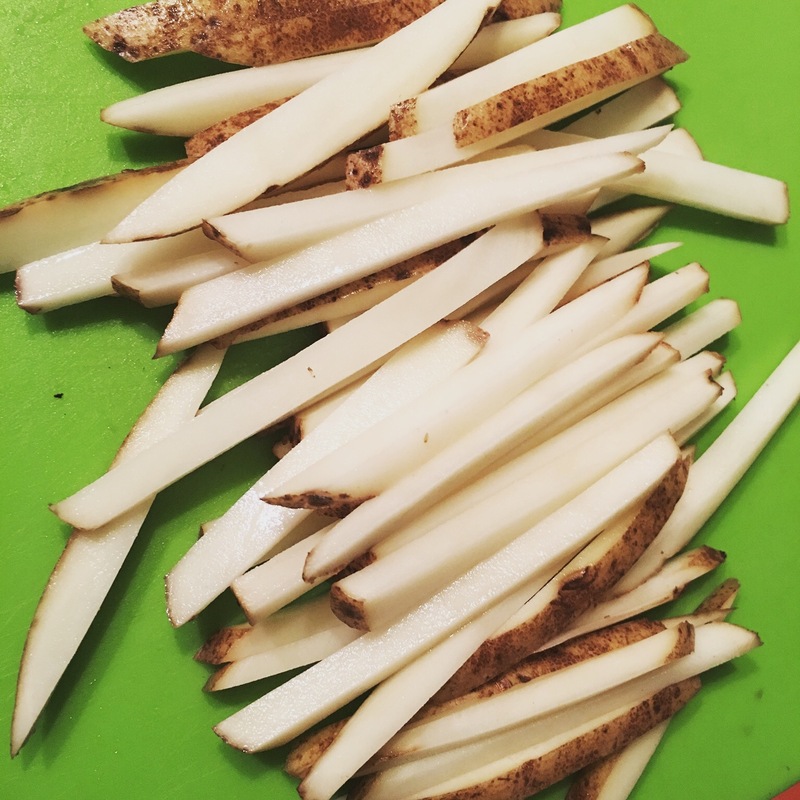 If you need to give into the craving, reward yourself by using good ingredients and making it at home. 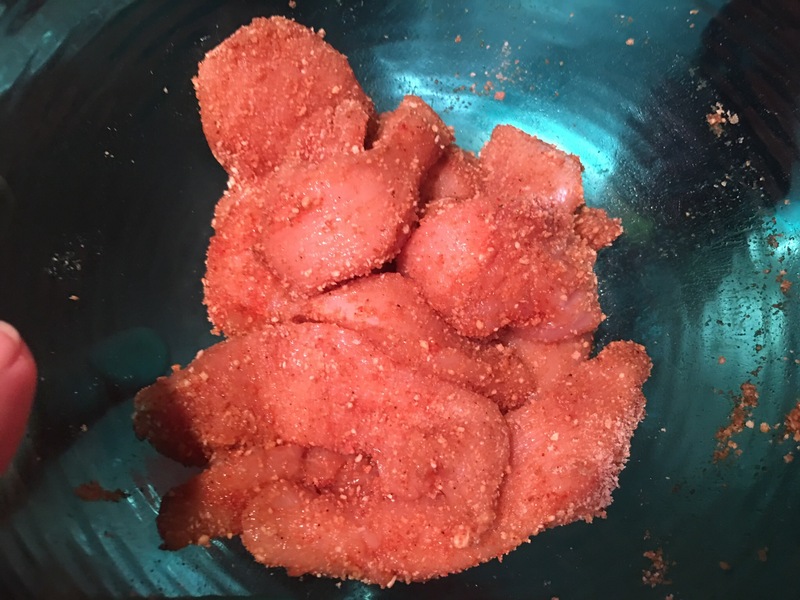 Using good quality chicken breast, I seasoned with salt, cayenne pepper, and Worcestershire sauce, let it marinate for awhile if you have the time. 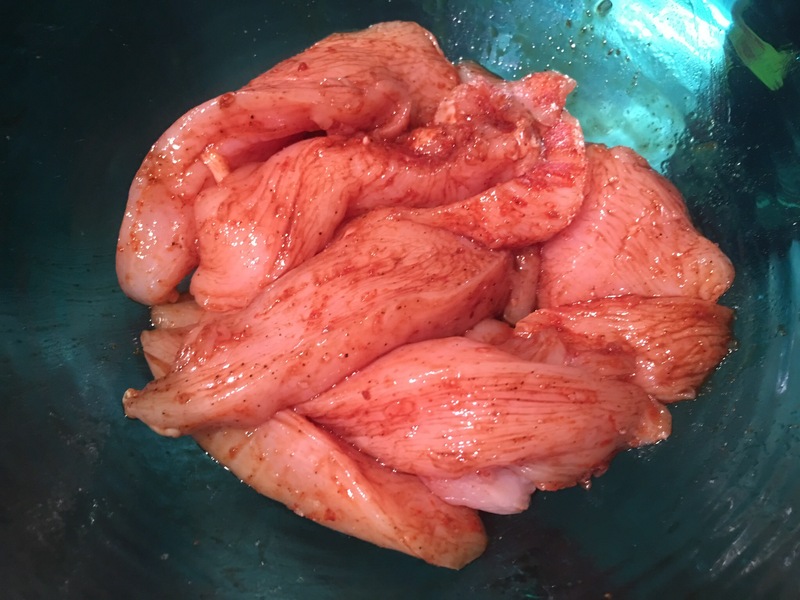 If you don’t have worcestershire you can use pickle juice just to moisten the chicken. In the same bowl, I just added some bread crumbs and tossed them around. You can do the flour, egg, breadcrumb trifecta if you want to, but I don’t have the patience for that. I let these drain on a wire rack while I put in the potatoes. I happened to have some shallots that were withering away, so I tossed them in also. 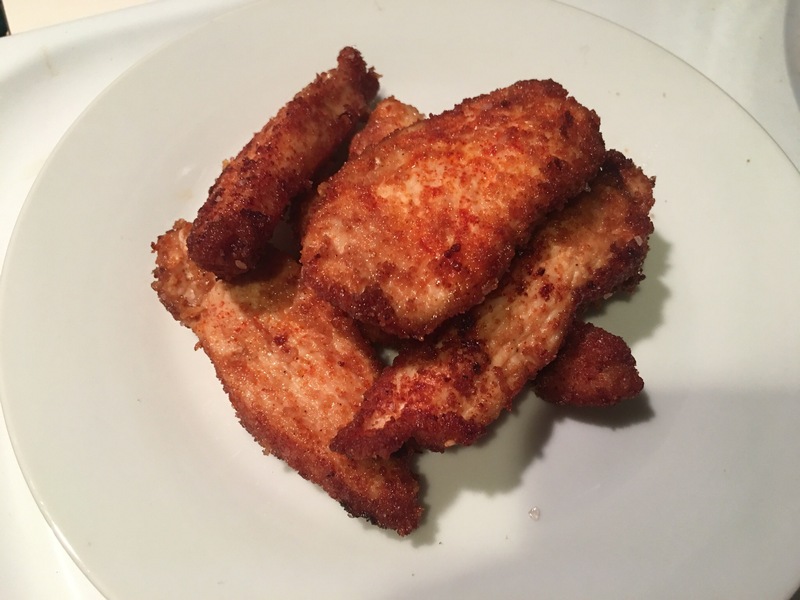 So fantastic, you know what ingredients were used, no preservatives, no mystery chicken, not over salted, spicy if that’s what you like. Great rainy-day Sunday menu, especially if there are little ones around who may be picky eaters. 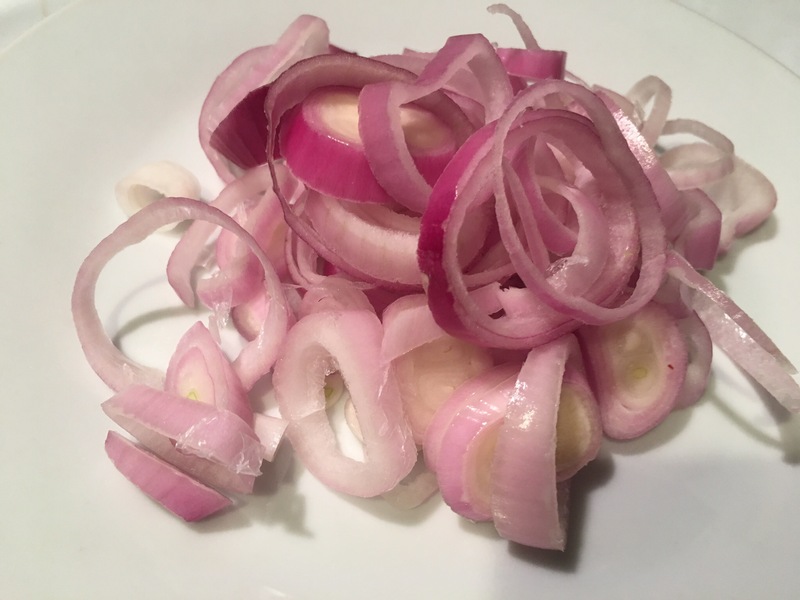 The shallots add a mild onion flavor that elevates this way beyond the drive thru! Pingback: Filet Mignon, mashed potatoes, and asparagus–date night IN! – Hurried Home Chef!